Many people in any intense relational connection will not want to give forgiveness. Including a spouse. Why? When we forgive, it may incur a cost to that we do not want to pay. Yet, as a Christian, we should realize, and even welcome, that cost. Yes, this goes against our inclination and will, but, remember, the “retribution,” as in vengeance belongs to the Lord. We are to never forget the cost our Lord paid on our behalf. No cost we could ever incur could compare with the cost He paid for us. When we forgive, we will be refocusing our plans for our pain into God’s plan, and God’s ways. So, our pain is relieved, and our life can go on in a better direction! We can live in harmony with each other in marriage with improved quality lives when we forgive. Our relationship can grow, and we can become more loving and relational to each other and, especially, to God. When we understand that it does involve cost, we can gain the right mindset for forgiveness. We will realize from Scripture, not to base it on our feelings and desires, or seek to get even; but, to focus on what forgiveness really is. We can see it as what Christ gave us, as He was our example. John 3:16 is the example of what forgiveness costs our Lord. His undeserved, painful death and separation from the Father was a substitution for what we deserved. This was our Lord’s suffering and cost. In comparison, the cost for us will be very minimal and limited, and we need to keep this in view, using it as our strength to get through it. Our cost is to live with the consequence of the evil that was brought to us. We then take the responsibility for the hurt brought on to us. Understanding this is hard, even for the mature Christian, and, virtually impossible for the non-Christian, since it goes against the common sense of society. In the eyes of the world, the suffering should be put upon the one who did the wrong. Yet, the Scriptural view has been a beacon, a witness to the supremacy of Christ and a wondrous marriage (Psalm 32). We could normally avoid this form of suffering, but we are called to face it. 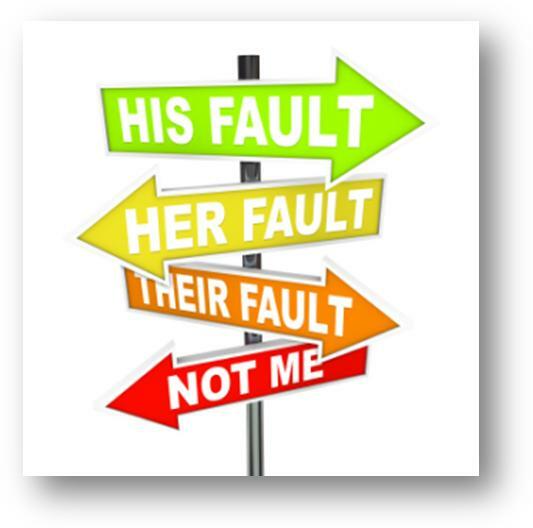 When we avoid it our relationship with our spouse will not work and break down into dysfunction. We need to accept the consequences of the wrong, like as a parent forgiving a child for breaking a valuable object. As the parent, they love the child more than the object. Thus, they bear the cost to either replace it, or suffer without it, and the child gets off free (well, with some sort of punishment). This is the cost of suffering. In the case of a marriage, our suffering is that we cannot have our revenge or right to be even, to have the last word so to speak. We feel robbed. Real forgiveness chooses to suffer. It is very hard to make that voluntary choice to take on the suffering, even when we do not deserve it; yet, we must make it so as to grow in our walk with our Lord, and to grow toward our full potential. Humanity owes a great deal to the Creator of the universe, and our willful disobedience to our Creator is a slap in His face. We owe a debt we could never conceive, or pay. Yet, most people live their lives as an insult to what Christ has done. And, Christ still pursues them with the ultimate love! Christ did not owe our debt, yet He paid it! Christ was the substitute for our punishment, which we deserved; so is forgiveness. Forgiveness is a substitution too, since it requires a penalty to be paid, and, the victim pays that penalty. Your marriage can be a faint reflection of what Christ has done for us! And an example of maturity and hope for others too. We may not understand the mystery behind this, but we can trust in our Lord, who will carry us through it. The relation between what Christ went through so that we could be forgiven, and the call for us to take on the responsibility for a sin we did not commit, will give us a deeper understanding into the character and nature of God. For this, we should mature to a deeper level, and be used in a greater way to further the cause of Christ. The result is that we take our response to evil and redirect it for good, and, even to a point, take the evil on ourselves. The result is that Satan is defeated and prevented from receiving a prize, the breakdown of our marriage, his reward that he craved to gain, from our refusal to forgive. This is why the cost accepted by our Lord is the greatest cost of all. We need to realize this, and respond accordingly to one another. Forgiveness is worth the agony we may go through, because, it will heal the wounds and relieve the pain. Perhaps a scar will remain. But, take it to heart, and recognize that scar as a badge of honor to help us grow and mature, to redirect our wrong path onto the right direction. Be the person who forgives. Be the first one who forgives! Do not be the person who refuses to! For us to be successful in life, in our relationship to God and with our spouses, we must respond to Christ with gratitude and love; then, we must be respectful and submit to one another. The key to a successful and vibrant marriage is the wife and husband respecting and loving each other, because our relationship is bound to our Lord. We are not just the participants of the church, we are the church and we model it to the world, and we must show that our Gospel and love is real and sincere. And the Christian marriage is a prime platform for the Gospels illustration! Love and respect are the two essential ways we can improve our relationship; this is the “marriage secret” to a happy and content marriage. The husband cherishes his wife, regardless of his feelings, so she feels secure and valued, while the wife respects her husband, even when he does not deserve it. In this way, both have an authentic mutual affection and admiration for one another. Which builds upon each other for the betterment and prevents and solves most ills. Let’s look at the husband’s call, as it does apply to both. He is asked to do something greater, to love their wives, to be passionate and committed about their care and personhood, not just rely on feelings. To take the initiative to lead and to listen. In ancient times, marriage contracts would advocate the husband to make his wife submit with absolute obedience. Paul’s assertion to his churches and readers “to love,” and because of love to “submit,” was very radical. To Paul, love was a duty. To truly love someone was considered weak by the macho mindsets of the times as well as with many people today. Yet, love is not weak; it is building the strength of a relationship and the bond of a family by creating a mutual partnership (Amos 3:3; Mark 12:38; 1 Cor. 7:3-4; 13; 11:8-9)! Love or cherisheth is the verb for love (Greek: agapete) designates a continuous routine of a devoted care action all of the time, not just when we feel like it. Love is “symbiotic” as in mutually loving toward each other to build and improve each one’s relationship. Here, a man loves a woman; she then submits because of his love. This submission is a love in itself that becomes as “one flesh” (Eph. 2:4-7; 5:21-32; 1 John 4:7-21). However, submission is misunderstood when it is viewed as abuse or subjection. In context, it is what God has for us, His fullness, His love that must be received and played forward to one another. As a family and as a church. God’s perfect plan, even in a corrupt culture, was always oneness and intimacy that were based on commitment and obedience. Christ restores our true intimacy (Gen. 2:19-25; 1 Tim. 2:13-14). We are to walk as people who are wise in the ways of the Lord and who are also on guard to the ways of the world. We are to be careful how we live, so we treat our lives and others with love, dignity, and respect, especially our loved ones. We must not to be careless with what is precious, people who are God’s precious children. We are to make the most of our lives, and the opportunities He gives us. To waste it away, and to treat others with disrespect or abuse is what a fool does; so, let us not be fools! When we understand what the Lord wants us to do—and, by the way, this is not hard—we will do better in life. It is not hard because what God is concerned with is our character. We form our character from understanding, and putting into practice this fullness. Then, we will have healthy families in a healthy church. If someone wrote a one-sentence summary of your marriage, what would it say? How does it compare to God’s call in Ephesians 4? In our marriage, we must carefully and passionately listen to our Lord’s instructions and not our desires, so we live in and for Him and not in the ways of the world lest we think like people who love to sin. If we are of the world–thinking as people who are “ok” with sin–dark thoughts will be ours. Dark thoughts become our dark behaviors. This way of life leads only to chaos, life’s upsets, and regrets with all the consequences and none of the perks. This is life apart from God. This is life away from God. People who think and act in darkness have hardened their hearts; they are convicted. They do not seek God as their eyes are turned only on “pleasures” and desires; they become filled with things like greed and immorality, and they lose real compassion and kindness. This is not how and why our Lord came to set us free! Christ, Our Savior, did not die and rise so that we would just sin more! We have been given a gift that transforms our lives; let us act like it with His Truth and not the world’s wicked ways or our own self-centered motivations. We can, by His empowerment, remove our old lives of sin and replace our mindset and actions with His principles that give us a better, more fulfilling life. This is akin to removing filthy rotten rags and putting on the finest clothes. Wearing our finest clothes, here means wearing the love and gratitude we have for Christ, creates better attitudes and character. Crates a better marriage and a more content purposeful life. This demonstrates to others who we are in Christ–holy people created and called by a Holy God. This holy life strives to be and is free from dysfunction, deceit, and depression. In this, we can treat each other as well as others with respect and practice our faith with fruitfulness and character. We can control our thoughts, words, and behaviors so we do not let our anger get out of control or fester. We can keep ourselves from lying, stealing, fighting, irritation, being mean or bitter, all that we would be useful and productive not just for our marriage but also for the Kingdom, and not bow to the devil’s ways. The Church must share these precepts and us build our relationships and family’s us, to help one another, work as a community in love, so we do not hurt the Holy Spirit. We can forgive and move on and be the people we are called to be, as we are sealed by Christ’s redemption (Eph. 4:17-32)! Our redemption also gives us an understanding, to think, and to have a desire for real Truth. Then a desire to have a healthier communication and mutual respect and love. Because this is Christ’s Truth in the action of our application. We are to think about Christ and consider what we have in Him to experience our new lives. Then we will have transformed marriages, that are moving away from bitterness and dysfunction. Yes, we can sin and live as we please, we can ignore our spouse and be mean and live as we were never married, but what will that get us? Paul emphatically fights this heinous notion. We have no right to sin deliberately thinking, I am already forgiven so it is OK to sin (Col. 1:9; 2 Tim. 3:16-17; 1 Pet. 2:2)! What can you learn from Ephesians 4 for your marriage? In prayer, for the next forty days, read a few verses from Ephesians 4 each day, so you have read the chapter at least ten times. What is God telling you? Seek what you can do to put into practice the Christ-centered life? The solution to a great marriage is the willingness to live life as one who has encountered Christ and play it forward as an encourager to our family! If you want to be successful in your marriage, you need to “get it”–know and work on real love, cherishing and respecting. By this, we create the happy home that glorifies and serves God. Our desires and pleasures are not God’s priority for our lives; God is our priority, and we are to follow His lead into your marriages! Yes, God wants us to be joyful, happy, and content; however, being happy means focusing on Him and not on our circumstances. To have a successful marriage, you must be aware of what you are getting into and prepare for it. The most important guarantee for it to work is to follow His principles from His Word, not what you think, want, or have experienced. Remember, God designed marriage and us. He knows best (Colossians 3:18-19; Ephesians 5:21-27; James 4:7-8; 1 Peter 5:5)! How will this book help me if I am not a Christian? The tips and principles in my book are called ‘precepts’–timeless Truth. These precepts are in the Bible; the Bible is God’s Truth. The precepts are found in real research—scientific truth. The precepts are shown to be effective far beyond counseling—societal and cultural truth. God desires us to be transformed agents of His Work and Word!